At Monark Golf – Golf Components and Custom Clubs, we understand that golf could be much more than a game for you. It could be a way of living or your very lifestyle. Accordingly the equipments that you choose for the game are also done with a lot of care and attention. 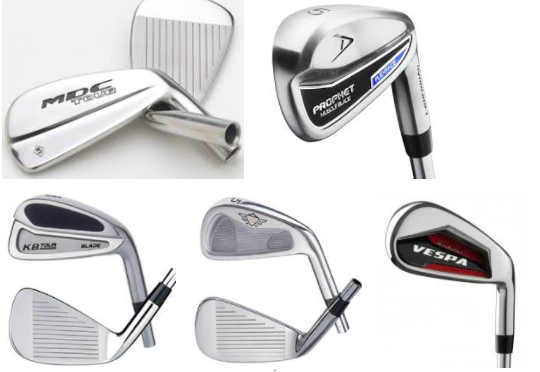 Keeping these requirements of yours’ in mind we at Monark Golf have come up with a wide selection of different golf iron heads, forged irons, different accessories for the games and other components. Monark Golf is the single window solution provider where you can find different items such as best golf shafts, custom based drivers and other clubs along with fancy and effective golf head covers. We at Monark Golf offer a large array of components and paraphernalia that is used in the game of golf. We not only offer a huge range of ready to use golf components but we can also provide customized elements on request from you – our esteemed customers. Now you no longer need to visit different brands for different items and elements. Monark Golf is the single name where you can get all the required goods for the game. Monark Golf is an excellent destination if you want to shop some stylish golf accessories like golf tees, gloves, head covers for clubs, cleaning and repair kits, shoe accessories, shoe cleats, balls, markers for balls, cart bags, travel bags, tote bags etc. We here believe in delivering quality with style. All the accessories are super fashionable in their looks and can contribute to give a great experience in terms of satisfaction of a great game.